A pertinent form of economic uncertainty for developing countries today is that of devaluation risk: the possibility of a large decrease in the value of a country’s currency relative to other currencies. It is difficult to measure the impact of economic and political uncertainty on the economy because changes in uncertainty are often the result of changes in economic performance. The effects of devaluation risk in particular are also hard to estimate because actual devaluations often quickly follow increases in devaluation risk. In his job market paper, “Is Devaluation Risk Contractionary? 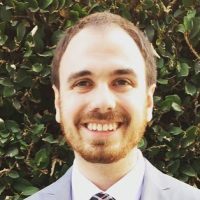 Evidence from U.S. Silver Coinage Agitation, 1878-1900,” UCLA graduate student Colin Weiss uses an historical setting to identify the negative effect of devaluation risk on aggregate economic activity. In the late 19th century, the U.S. operated on a gold standard, where the dollar could be exchanged for gold at a fixed price at the treasury. This system was unpopular with a large fraction of the population who wanted the dollar to be devalued against gold under a policy of unlimited silver coinage. While the U.S. did not abandon the gold standard, political factors increased devaluation risk for several years. rms with heavy debt burdens that were payable in gold. Using monthly data on the interest rate differential between short-term gold and dollar-denominated debt, he shows that silver policy news is quickly followed by jumps in this devaluation risk premium. nancial sector. Evidence on gold out flows from the U.S. and the ratio of currency holdings to deposits in banks during this time period corroborates this hypothesis. es plans to raise interest rates and consequently the value of the dollar in the near future. Weiss’s research indicates that developing countries’ financial conditions deserve careful monitoring in light of these facts. Colin Weiss will be joining the Federal Reserve Board of Governors in August.